One of the best things about being a member of FoQ is the Newsletter delivered to your door. 'Newsletter' doesn't really describe the quality publication packed with articles of interest alongside regular updates. It also gives you a preview of the year's Events program. The newly opened Quantock section of the Coast Path from Kilve to Doniford. The secret hide-outs of the Home Guard, when they planned to go guerrilla in the event of invasion. The grave of Shelley's daughter Ianthe at Cothelstone and her fascinating story. Plus wildlife, the new Ranger, the Quantock Quiz, the Chairman's Report and the 2017 Events Programme. 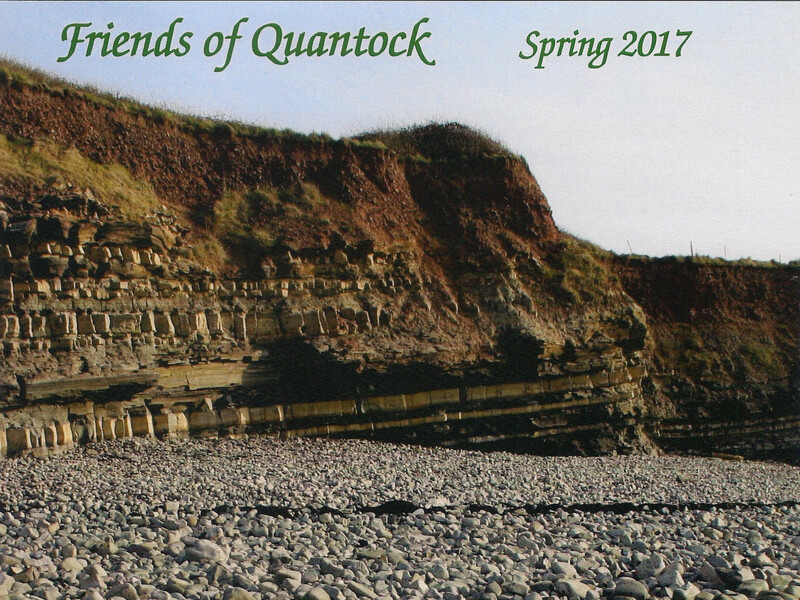 You can join FoQ online on our Membership Page and get your copy of the Newsletter with your welcome pack.